How to Enjoy Hokkaido in Winter! Let's Go to the "Soun-kyo Onsen Ice Waterfall Festival"! | Japanize! How to Enjoy Hokkaido in Winter! Let's Go to the "Soun-kyo Onsen Ice Waterfall Festival"! 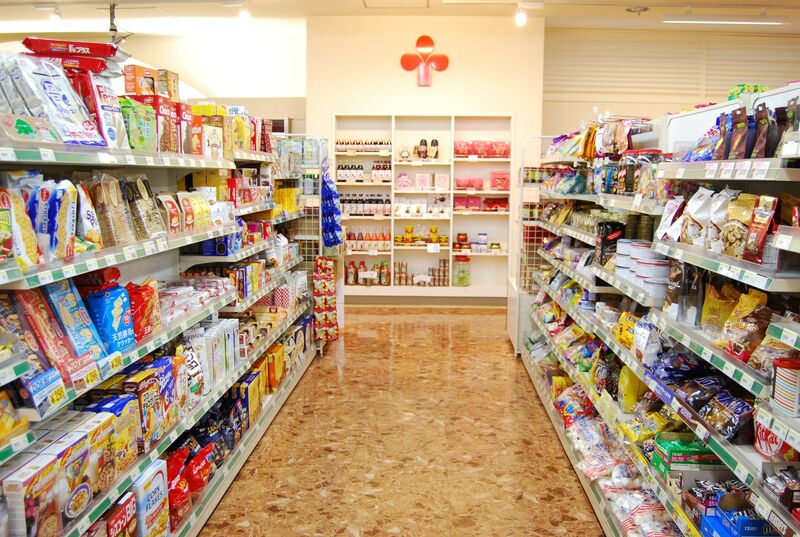 Everyone, when thinking about Hokkaido, what comes first to mind? Hokkaido is utterly huge. Continuing from where we left last time, I want to let you know of the unique ways to enjoy Hokkaido in winter! Speaking of winter in Hokkaido, it's definitelly the snow. 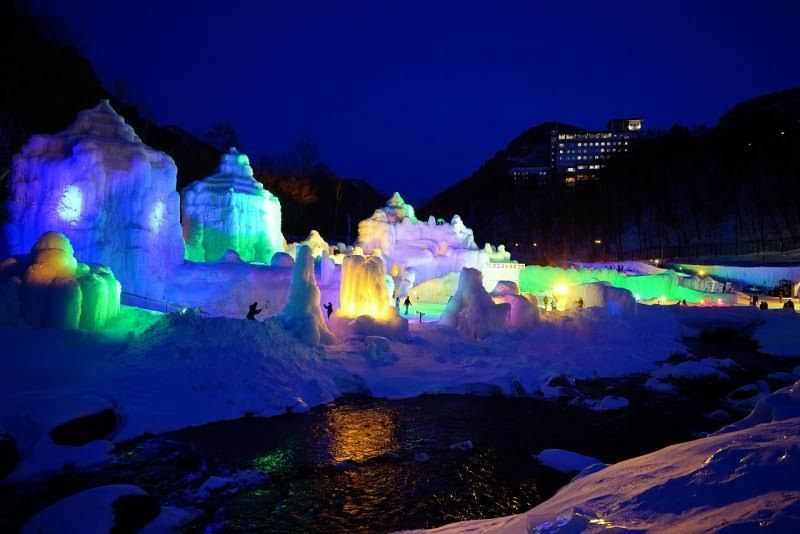 Therefore, this time I want to present you the Daisetsuzan Valley decorated with ice and lights, the "Soun-kyo Onsen Ice Waterfall Festival". What is the "Soun-kyo Onsen Ice Waterfall Festival"? The "Soun-kyo Onsen Ice Waterfall Festival" is an event held every year from late January until March in Soun-kyo Gorge, Kamikawa-cho. You can get there by Dohoku bus from JR Kamikawa station in about 30 minutes. To begin with, an ice waterfall is waterfall that is frozen! The venue uses the riverbed of the Ishikari River and the main attraction is the ice waterfall, but you can also enjoy the 13 meters tall ice made viewing platform, ice pillars, ice tunnels, ice domes and so on. Taking advantage of the coldness of nature, there are a variety of ice made masses. At night, the venue is wrapped in seven colors of light and the whole place emanates a mysterious atmosphere. This is the only place where you can experience a fastastic world of ice sculptures that are surrounded and illuminated in rainbow colors! Admission is possible from 9 o'clock and the light up lasts until nightfall ~ 22 o'clock! In fact, I thought that this "Ice Waterfall Festival" would start at light-up time, but the admission is actually available from 9 o'clock in the morning. During the day, the ice and snow is sparkling beautifully in the sunlight. Since Soun-kyo is located in the valley, the sun begins to sink gradually from late afternoon. At night, due to the light-ups, the gorge shines magically in seven colors. The entire valley is engulfed in gentle lights, and it's like you wondered into the kingdom of ice. You can enjoy a different landscape during the day and at night. Fireworks will color the night sky in the evening! From the taverns to the shrine, everything is made of ice! You might think that "Ah, it's really beautiful, but that's all…"! The Ice Waterfall Festival it's not only about that. In fact, only during the weekends the "North Ice Taverns" are being installed. In addition to hot sake meant to warm up the body, there's also an "Ice Waterfall Special High Ball", motor driving and "Sake lees cocoa" for children. The "Ice Waterfall Jinja" is a shrine made of ice that has an ice 'kami-dama' and when it's lit up it surely looks divine! There are rumors that if you make an offering you'll boost your romance luck. There's also a "Tube sliding" in case you feel like enjoying the bobsleigh. It's thrilling and even adults can have enough fun! The "Ice Waterfall Festival" is full of events! Actually, the way to enjoy this festival is not only by observing the ice. There are many other events during the festival! The Kamikawa-cho local Taiko drum preservation society will have an enthusiastic performance, the "Ice Waterfall Taiko", the popular with kids "Fun Lottery", the "Ice Waterfall Wedding" ceremonies held in a fastastic great natural environment, but also the old-fashioned "Mochimaki" and many, many others. I got excited only by hearing this. And, what I'd like you to pay attention to is the fireworks. Every year during weekends and national holidays there are fireworks displays, but since this year is special because it is also the 40th anniversary of this "Ice Waterfall Festival", during the holding period there are fireworks displays every day. Do not forget to prepare against the cold! The Ice Waterfall Festival is so beautiful that it might make you forget about the cold, but this is a world of minus temperatures after all! Especially at night, when the temperatures goes 2 digits below freezing level. Since even the air is cold enough to feel like it's frozen, do not forget to take strict measures against the cold! ! Hats, gloves and scarfs are a matter of course, but I personally recommend a mask as well, since your face might start hurting from the cold. Don't forget the earmuffs either! ! Prepare some hot beverages and enjoy the cold weather while your body is feeling warm.